It is a fact that having health insurance is a good thing and because it is such a good thing, a lot of people purchase health insurance policies in order to secure their medical needs just in case something happens that may put their health at risk. However, what if you belong to the low income population? What if you can’t afford to purchase a health insurance policy for you and your family? This can be very distressing considering the expenses that hospitalization and medicine may leave you in financial crisis and even in debt. Because of this problem, the congress created a state and federal government partnership that will provide cheap healthcare for every person living in the United States as well as provide the low income population with a way to gain access to the same healthcare as people with mid to high income levels. This healthcare program is called Medicare. Every state has different rules and eligibility requirements that will entitle a person to the Medicare program. In Minnesota, the Department of Human Services or DHS will be able to help you get medical assistance in Minnesota Family Investment Program, MinnesotaCare, General Assistance Medical Care, Prescription Drug Program, General Assistance, Child Support Enforcement, Child Protection, Child Welfare Services, chemically dependent assistance programs, healthcare services for the mentally ill, and even physical or developmental disabilities assistance programs. In the different counties in Minnesota, you will be able to see county offices of the DHS. 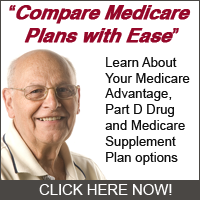 This will provide you a way to easily get Medicare in Minnesota. The DHS is also responsible for determining whether you are eligible for the health care programs available in the state. Today, there are over 107 thousand residents enrolled in MinnesotaCare and more than 55 thousand are children. MinnesotaCare is funded by enrollee premiums. This means that the money used comes from the enrollees or members themselves. In Medicaid, the state of Minnesota has different eligibility rules concerning different people in different situations. For pregnant women, the requirements are that the income level should not exceed 275 percent FPL. As of June 30, 2003, the income limits for pregnant women is 2,737 dollars for a family of two and 4,148 dollars for a family of four. There is also no asset limit. For parents and caretaker relatives, the income level should not exceed 100 percent of the FPL. There is also an asset limit of 15 thousand dollars for a household of one and 30 thousand dollars for a household of two. Medicare for disabled children all depends on the income of the parents. Normally, Medicare program is given to parents of disabled children who are under the low income level families. The most important thing in order to get qualified for Minnesota Medicare is that you should be a resident of Minnesota. For aliens or for immigrants, it is important that you should be a qualified immigrant with a low income level in order to become qualified for Medicare. These are the overview of the eligibility and the rules about getting Medicare in Minnesota. Remember these things and you will be able to know if you are qualified for Medicare in the State of Minnesota. Just remember that Medicare is designed for people with low income levels. So, before you apply for Medicare in Minnesota, make sure that you are eligible in order for you to avoid wasting time and money.